Jack’s Beans brings together a super group of the best know of Dutch breeders. 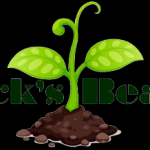 Great yields, High THC, and pleasant aromas are the features that Jack’s Beans tend to provide to all their seeds. Working exclusively for HAZE they have created a family of strains designed to exceed the demands of the most exacting customer.